Start matching your Deals in minutes. 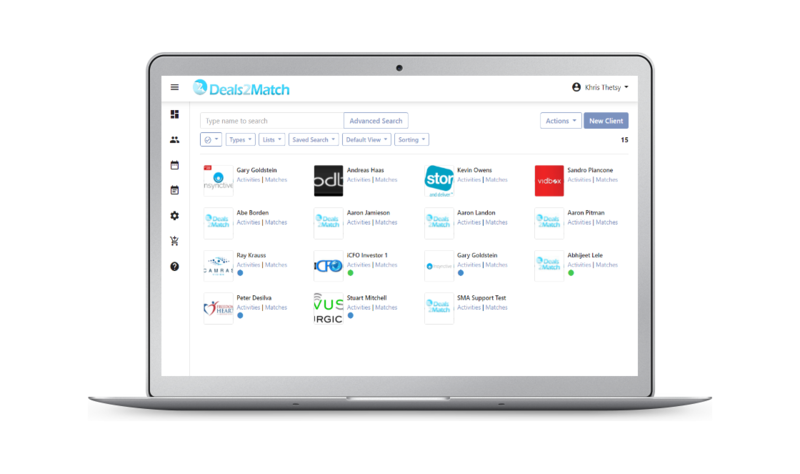 Our flexible, easy-to-customize Dealflows Matchmaking ​CRM software has the tools to get it done. 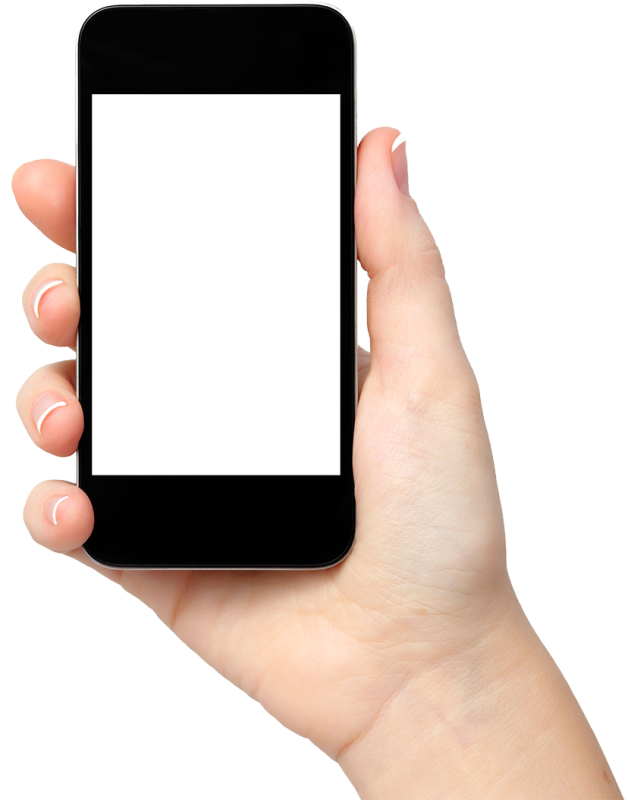 Connects Entrepreneur and Investor through a real-time algorithm intelligently match from your mobile phone. 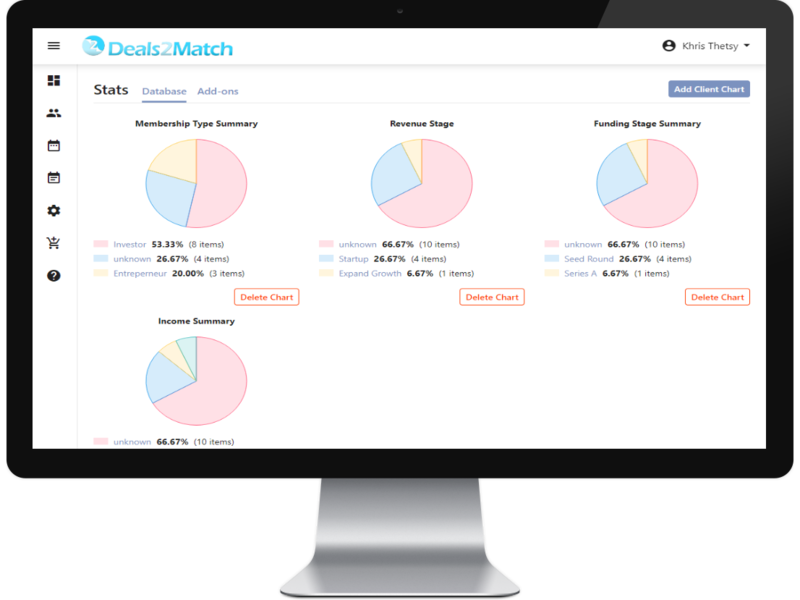 Deploy the Deals2Match app and find matching investors in minutes. 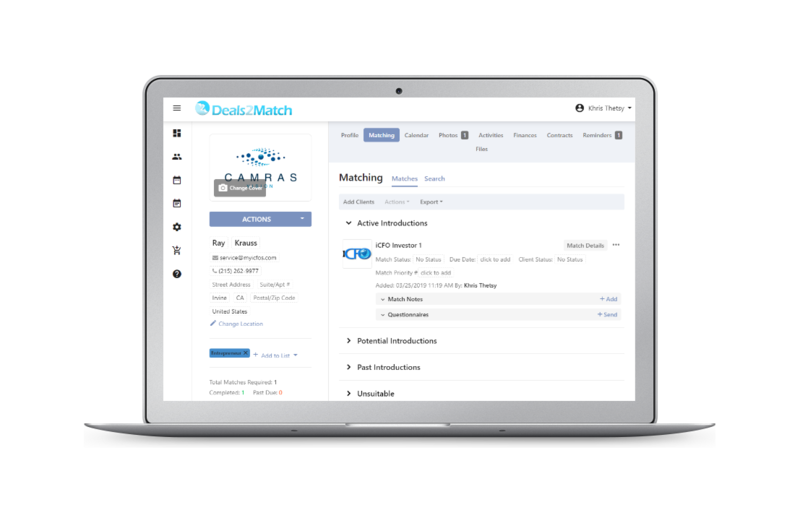 Send introductions with optional documents to your matching investors, schedule meetings and track your progress. 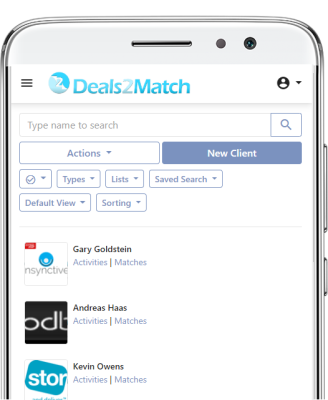 Set your profile preferences through the Deal2Match app. Receive only matching notification from your investment criteria. 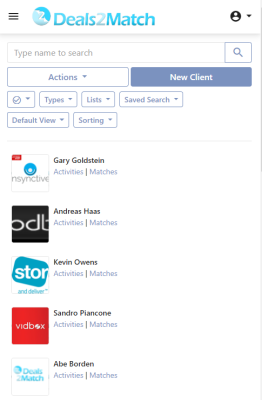 Manage deals, meetings, and track status. Receive detailed suggestions, arrange better introductions & meetings, collect timely feedback, save time and energy. Access to your calendar and we’ll schedule meetings with prospects we have qualified to your standards.